The day started off with the gathering of 35 Morgan Stanley and two child volunteers, Toybank staff and 5 interns of BITS at Vidya Vikas School in Borivali. 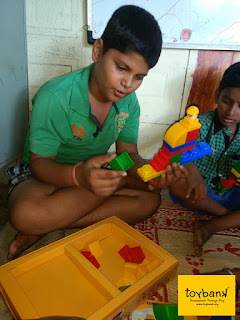 Various activities and games were planned out for all the students and they were to be conducted in classes by the volunteers of Morgan Stanley. These activities included Tail the elephant, Idli-vada-dosa, Draw and continue, Action chit game, Quiz, Damsharas etc. In most of the classes poems and songs were sung by the kids and some of them even danced on Marathi and Hindi songs. The volunteers interacted with the kids and kept them engaged. All the children enjoyed thoroughly and showed great enthusiasm while playing. After the activities were over, toy distribution was conducted in the respective classes by the volunteers present there. The look on the faces of these 250 kids after receiving a toy of their own was worth all the efforts that were put in the event. 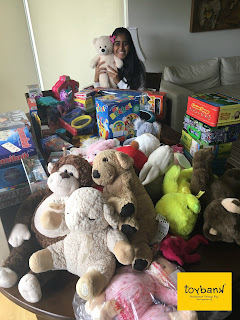 We could finally say that the toy distribution event was successful. In the end speeches were given by the school principal, school teachers, Morgan Stanley volunteers and Toybank.